Modi govt writes to states following a Madras HC order asking schools to reduce burden on children forced to carry heavy school bags. New Delhi: The Human Resource Development Ministry has written to all states to fix the weight of the school bag according to a student’s class — a move that is in line with a Madras High Court order aimed at easing the burden on young schoolchildren who are forced to carry heavy school bags. The letter by the ministry also asks schools not to assign any homework to students in classes 1 and 2. The court’s observation came while passing an interim order in May on a petition seeking direction to the schools affiliated to the Central Board of Secondary Education to purchase only NCERT books. Justice N. Kirubakaran had also directed the Centre to instruct state governments not to prescribe any other subjects except language and mathematics for classes 1 and 2 and language, EVS and mathematics for classes 3 and 4, as prescribed by the NCERT. As per the ministry guidelines, schools should not be allowed to prescribe anything other than NCERT textbooks in classes so that weight of school bag can be regulated. The weight of the school bag for classes 1 and 2 should be 1.5 kg, 3 kg for classes 3 to 5, 4 kg for classes 6 and 7, 4.5 kg for 8 and 9 and for class 10, the weight can be up to 5 kg. According to the ministry’s instructions, schools should not ask students to bring extra books or study material to school. 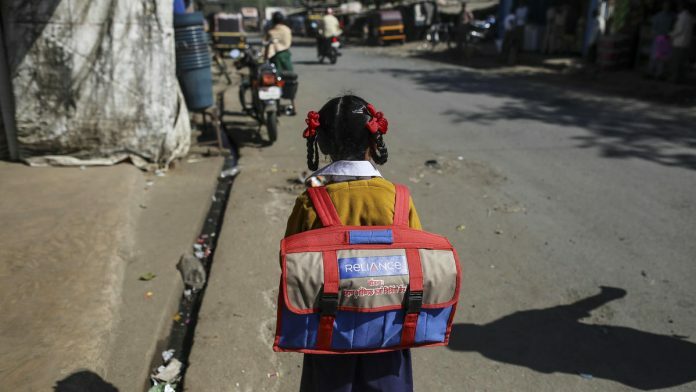 “The ministry guidelines are in adherence to the Madras High Court order on weight of school bags,” said a senior NCERT official confirming the development. “Earlier schools would prescribe a number of books to students and it would increase the weight of the bag. With the new guideline schools have been asked to stick to only NCERT textbooks that are prescribed in the syllabus,” the official added. The official said that after the high court order, the ministry had formulated a committee to look into the issue. NCERT has also been working on reducing syllabus for classes I and II. Topics that are outdated or not relevant will be removed from the syllabus. In June, a PIL was filed in the Supreme Court as well seeking reduction in weight of school bags, citing health implications.